I am a blessed and highly favored child of God. I am the proud mama of 5 grown children, and a mom mom to 11 grand babies. I am passionate about my family, my faith and feeding people....feeding people in the truest sense of the word. I co-create with ordinary people on a physical, financial and spiritual level so they may live extraordinary lives, and pay their blessings forward. I am a professional network marketer and a social, Kingdom building entrepreneur. I partner with one of the fastest growing health and wellness companies, globally. God provided me with a vision to expand my business by utilizing our product where I feel it is needed most. My company provides the product and business model with which we can impact the hunger crisis AND get paid to do so. Nishea Sipley is serial entrepreneur who has looked for a way to marry her passion for supporting non-profits with a sustainable income. 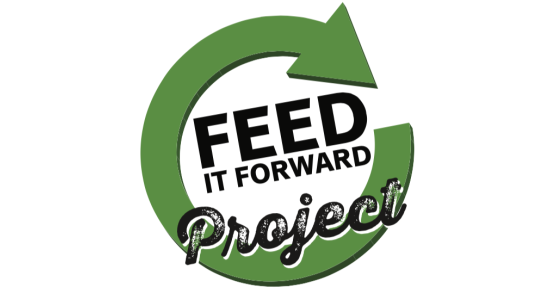 With Project Feed It Forward, she found the perfect combination. The Kentucky Bluegrass Chapter will be supporting Blessings in a Backpack. She had previously donated to Blessings in a Backpack and thought it would be the perfect fit for Project Feed It Forward in Kentucky. Blessings in a Backpack is a national program, now spanning 46 states. It began in Kentucky when a teacher noticed children at her school, who were on a free or reduced lunch program, would return to school on Monday tired, hungry and sluggish. She realized there was little or no food for the children to eat at home on the weekends. In July, 2005, Blessings in a Backpack was formed to provide these students with backpacks of food to provide 3 meals a day during the weekend. ﻿Would you like more information about starting a chapter in your area? YES, I WANT TO START A CHAPTER!